Who moo? Cool showers can comfort cows while they’re being milked. 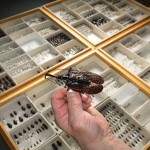 The Young Coleoptera Collection brings the UW bunches of beetles.